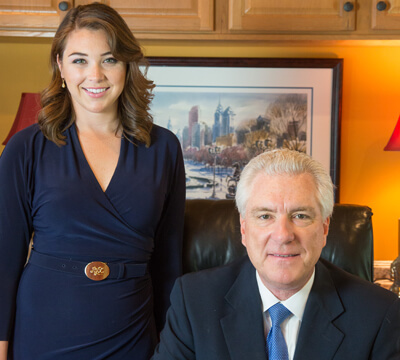 When Philadelphia Malpractice Lawyers John and Laura Fox receive a call regarding a potential malpractice case, they listen intently for preliminary indications of malpractice. It is unfortunate when someone believes that they are a victim of malpractice and not all professional errors are considered malpractice. More often than not, what a layperson perceives as malpractice, legally speaking, is not malpractice and is well within the standard of care. 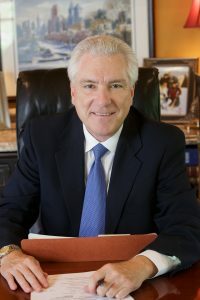 Before Fox Law Philadelphia Malpractice Lawyers will proceed with a malpractice case, they will have the case reviewed by an expert, another professional in the same professional field, who must render an opinion within a reasonable degree of certainty that the alleged malpractice fell below the standard of care. If we find that what happened to you or a loved one may be the result of malpractice, Fox Law Philadelphia Malpractice Lawyers will aggressively proceed with your case. Malpractice is when a professional performs below the standard of care for their industry. For an act to be considered malpractice, it must fall below the industry standard. Therefore, it is necessary to have all malpractice cases carefully reviewed by expert peer professionals to determine whether it was an act of malpractice or a known risk. Malpractice claims are most commonly filed against medical doctors or lawyers, however other professions may also be guilty of malpractice. In addition to Medical Malpractice, other types of malpractice may include Pharmaceutical Malpractice, Legal Malpractice, and Professional Malpractice. In the legal sense of the word, malpractice refers to negligence on the part of a professional. Malpractice cases vary greatly depending the particular situation and profession involved. Malpractice suits are often filed against medical professionals. Within the scope of medical malpractice claims, there are four different areas where lawsuits are most commonly filed. Cosmetic Surgery: Cosmetic surgery has become a very popular procedure. When these procedures do not go as planned, it is sometimes the result of improper technique on the part of plastic surgeons. Prescription Drugs: Errors in prescribing drugs can result in life-threatening consequences to patients. In addition to prescribing the wrong drug, drug-related malpractice claims may involve administering the wrong dosage of a medication, or failing to be aware of dangerous interactions between prescribed drugs. Birth Injuries: Medical professionals may be guilty of birth injury malpractice if the tools used to deliver a baby are operated incorrectly. Additionally, birth injury malpractice may occur if medical professionals prescribe medications which harm the health of baby and mother, or if they fail to prepare in advance for the possibility of a birth by C-section. Diagnosis or Surgical Errors: If a doctor misdiagnosis an illness or disorder, they may be held liable for the harm this misdiagnosis causes to the patient. If a surgeon causes additional injury to a patient while performing an operation, they also may be held liable for their error and sued for malpractice. Claims may be filed against pharmaceutical companies or pharmacies who have manufactured a faulty product or failed to warn consumers of a drugs danger or interaction with other drugs. In legal malpractice claims, an individual asserts that a legal professional does not complete their duties with the level of expertise expected from the profession. This usually involves a failure to represent a client properly in court. Members of the financial and accounting fields may also be held liable for malpractice. Malpractice in finance may take the form of misleading statements made by stock brokers, or instances of insider trading. Accounting errors may result in a malpractice claim as well. 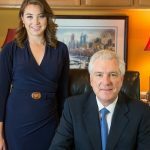 A $650,000 Settlement in Lehigh County was reached by Fox Law Philadelphia Malpractice Lawyers against a Pharmacy that incorrectly filled a thyroid prescription which required a microgram dosage but was filled with a milligram dosage 1,000 times stronger, initially causing client to suffer stroke-like symptoms, ultimately resulting in thyroid storm requiring intubation and lengthy hospital stay and rehabilitation. Fox Law Philadelphia Malpractice Lawyers welcome you to contact us for a prompt and free consultation regarding your malpractice case.